We've caught a bit of the Bahn Fever lately. If you are a regular reader, you know I could not say more wonderful things about the Schlitterbahn Beach Resort and Waterpark in South Padre, or tell you enough how you can save money going to the waterparks all over Texas! And did I mention how excited we are to make new memories at the New Braunfels' park later this summer? But what I am most excited to share with you is a giveaway! One lucky reader will receive (2) admission tickets to Schlitterbahn New Braunfels! No Rafflecopter, no Facebook likes or Twitter follows, just me, my site and you guys that actually read my blog! Just leave a comment below! Let us know how excited you are to go to Schlitterbahn or tell us your tips or favorite memories if you've been and we will randomly choose a winner Thursday July 18th at midnight! Winner will be emailed the next day and be sent tickets directly from Schlitterbahn. Tube chutes, The Falls, Kinderhaven, Master Blaster...here we come! Water fun here we come! Our family has never been to Schlitterbahn, and we've always wanted to go! Thanks for running this giveaway. I'd love to win Schlitterbahn tickets. We love schlitterbahn ... any excuse for a fun mommy and son day in the sun! Love your blog too! Bahn fever is going around :) happy Tuesday friend! Hi Michelle! Great blog, keep up the good work. My family can't wait to go to Schlitterbahn!! We've had #bahnfever all summer long!!! We were just talking about taking our daughter there since she loves the water so much. We take her to sea world alot, I think she's over it lol. We have been in San Antonio for nearly a year and have yet to go to schlitterbahn. We would love to go before the school year starts!! I haven't been to Schlitterbahn since I was 15 years old...just so you know, I am now 36 years old!!! It was with my camp I attended in my teen years. And, I think I got lost cause the park is so huge! Schlitterbahn is in my bucket list, I really hope I win these tickets so I can have some water fun! 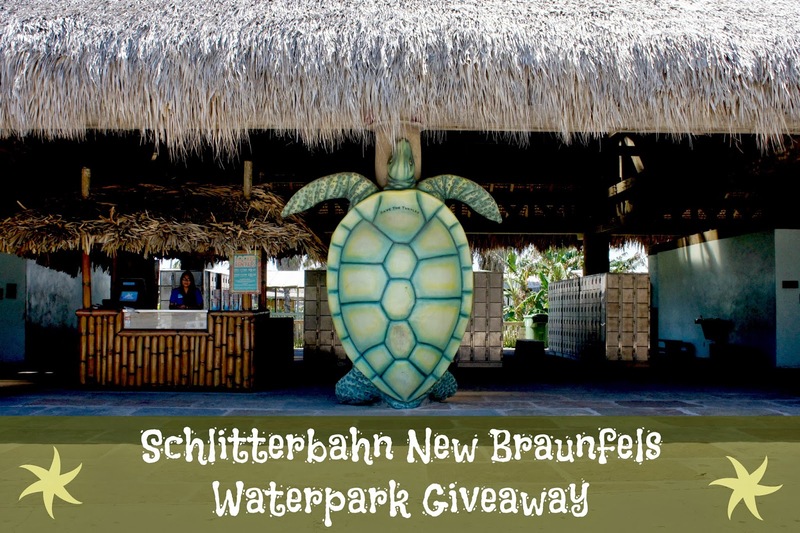 Schlitterbahn New Braunfels is always on the Texas Summer to do list! My parents brought me when I was young, when only the original park, Schlitterbahn West was there! Cant wait to go this year and bring my son and make memories of who won racing down the Soda Straws, or how long we waited in line to ride the Master Blaster! Great Family Memories here we come! Thanks for the opportunity to win tickets! We would love to go to Schlitterbahn. We have had a really rough year and would like to take the kids out for some much needed fun. I know my kids would really enjoy this as we have never been able to afford a vacation. Please give us this chance to show our kids that there is fun after all the hard times we've been through.